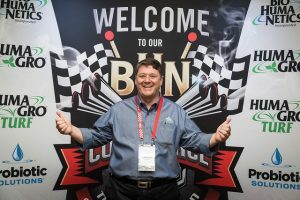 BHN News Archives - Page 2 of 3 - Bio Huma Netics, Inc. 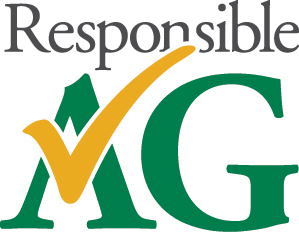 The Agribusiness Roundtable is a collaborative effort by the Arizona Department of Agriculture and the Agribusiness & Water Council of Arizona, Inc. 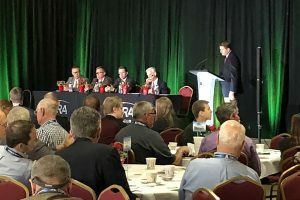 Established to develop a “collective,” proactive point of view about Arizona’s future, this third annual meeting focused discussion on the importance to Arizona and national agriculture stakeholders of export trade agreements, immigration reform for the farm workforce, and proposed regulations for the 2018 Farm Bill. Guest speakers and roundtable participants were from a number of national agriculture associations, including the National Milk Producers Federation, National Grain & Feed Association, National Cotton Council, AmericanHort, National Cattlemen’s Beef Association, United Egg Producers, Western Growers Association, and the National Pork Producers Council. Also featured were Dr. Barbara Glenn, National Association of State Departments of Agriculture; Dr. Alison Van Eenennaam, UC Davis; Paul Schlegel, American Farm Bureau Federation; Tom Davis, President, Agribusiness & Water Council of Arizona; and Mark Killian, Director, Arizona Department of Agriculture (and member of the BHN Board of Directors). 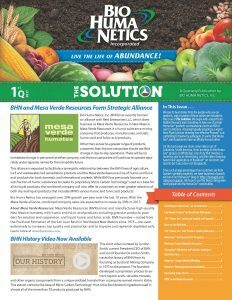 More information is at https://www.agribusinessarizona.org/agribusiness-roundtable.html. 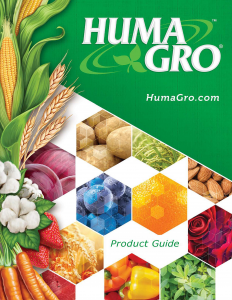 Bio Huma Netics, Inc. (BHN)—the maker of Huma Gro®, Huma Gro® Turf, and Probiotic Solutions® products—held a dedication ceremony to open its new Alpha Synectics Laboratory facility during its 2016 World Conference on October 26. 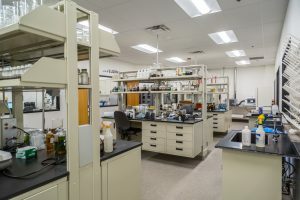 This major expansion of BHN’s laboratory capabilities enables BHN to move in-house in terms of product development & improvement, quality control & verification, carbon extraction & characterization, and bioassay & microbial studies. Infared Spectroscopy (FT-IR) unit for functional group characterization. 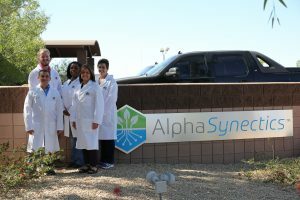 The name “Alpha Synectics” derives from Latin terms “Alpha,” for “First,” and “Synectics,” which means “Problem Solving/Methodology.” Alpha Synectics Laboratory is located about 1 block from the main BHN headquarters, at 1240 North Mondel in Gilbert, Arizona. In this short video, Shawn Whitmer, PE, discusses how foam and settling caused by filamentous bacteria can create problems for municipal activated sludge wastewater treatment plants. Our Probiotic Solutions® liquid stimulant product, Bio Genesis®, can help facilities take a bioremediation approach to improve treatment performance; reduce foam, SVI, sludge, and FOG; and decrease energy costs.